We made a trip down to the Fun Center recently for Miss MaKella's one year pics. As always, Jamie at Otis and James captured my little girl perfectly. This picture is one of my favorites. 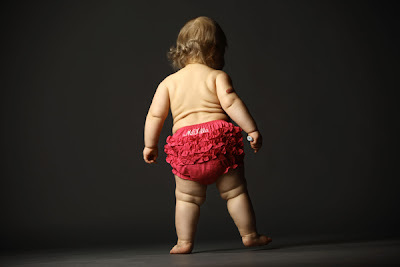 Before too long those rolls will be gone and my little girl will be replacing bloomers for bikinis... SIGH. The adorable baby bloomers are from RuffleButts. Whoa is right! Rolls and ruffles.